Research as long ago as 1991 found that households with dogs that developed malignant lymphoma applied 2,4-D herbicides (weedkillers) to their lawns more frequently than households where the dogs did not develop malignant lymphoma. In addition, the risk of canine malignant lymphoma rose much higher with four or more yearly applications of 2,4-D. This finding that exposure to certain lawn chemicals by dogs increases the risk of the dogs developing canine malignant lymphoma was confirmed in a 2012 study . The following excerpts from an article geared toward students nicely explains a recent study that looked at the exposure that dogs have to lawn pesticides, specifically looking at 2,4-D, MCPP, and dicamba (commonly used weed-killers or herbicides). The study looked at exposure of pet dogs to 2.4-D by measuring it in the dog's urine, and also looked at how long the herbicides come off the grass where it had been applied. They found widespread detection of lawn chemicals in the urine of pet dogs, that lawn chemicals were commonly detected on both treated and "untreated" lawns (probably due to "drift"), that the lawn chemicals persisted on grass for at least 48 hours after application, and that the chemicals can persist longer on grass under certain environmental conditions (e.g., dry brown grass). Many people treat their lawns with weed killers — also known as herbicides — to rid themselves of unwanted plants, such as dandelions. Most people know to keep small children away from the grass after it’s been sprayed. That’s because these chemicals can be dangerous if children touched the treated lawn and then put their hands to their mouths. New data show that herbicides also can end up in dogs. The evidence: It comes out the other end in the animals’ urine. Angus Murphy studies plants at the University of Maryland in College Park. He began to wonder if dogs might be exposed to herbicides when he saw neighborhood signs that warned a lawn had been sprayed with weed killers. “I would see the dogs running through the yards when the grass was still wet,” he recalls. “I looked at the signs and they said don’t re-enter [the lawn] for 24 hours or until the treatment was dry.”So he teamed up with other scientists to investigate how much weed killer might come off the grass while it was wet — and whether those chemicals might go from plant to pooch. First, Murphy and his group had to find out how long herbicide sprays can be brushed off with casual contact. They applied the same amount of three different kinds of weed killers to different patches of grass.But the amount of chemical coming off grass might change if the grass was wet or dry. So the scientists added herbicides to green grass that was wet (to simulate a recent rain) or dry. To find out if it made a difference whether the plants were dead or alive, the researchers also applied weed killer to brown grass....In green grass, two of the weed killers rubbed off on both tries the first day, but not after that. A third chemical known as 2,4-D — for 2,4-dichlorophenoxyacetic (Di-KLOR-oh-fen-OX-ee-uh-SEE-tic) acid — rubbed off onto the cloth for two full days after application. And on dry, brown lawns, 2,4-D was still coming off the grass even three days later. That was long after the blades of grass were dry. So the herbicides were coming off the grass. But unless the chemicals get into animals, it might not pose risks. So Murphy and his group recruited 33 dogs and their owners. They included people who sprayed weed killer on their lawns and those who did not. Then, before and after lawns had been treated with herbicides, the researchers collected the dogs' pee....Most dogs — including half of those whose owners did not treat their lawns — had herbicides in their urine. Among dogs whose owners did spray weed killers, 14 out of 25 animals had chemicals in their urine before the latest spray of their lawn. After spraying, 19 out of 25 dogs were excreting the chemicals.“The herbicides move into the animals and it’s detectable,” says Murphy. “What surprised us the most was the extent to which there was uptake in the animals when [their lawns] weren’t having treatments,” he says. These animals appear to get exposed during walks in the neighborhood. This can include grassy areas where others have used weed killers. Exposure to herbicide-treated lawns has been associated with significantly higher bladder cancer risk in dogs. This work was performed to further characterize lawn chemical exposures in dogs, and to determine environmental factors associated with chemical residence time on grass. In addition to concern for canine health, a strong justification for the work was that dogs may serve as sentinels for potentially harmful environmental exposures in humans. Experimentally, herbicides [2,4-dichlorophenoxyacetic acid (2,4-D), 4-chloro-2-methylphenoxypropionic acid (MCPP), dicamba] were applied to grass plots under different conditions (e.g., green, dry brown, wet, and recently mowed grass). Chemicals in dislodgeable residues were measured by LC-MS at 0.17, 1, 24, 48, 72 h post treatment. In a separate study, 2,4-D, MCPP, and dithiopyr concentrations were measured in the urine of dogs and in dislodgeable grass residues in households that applied or did not apply chemicals in the preceding 48 h. Chemicals were measured at 0, 24, and 48 h post application in treated households and at time 0 in untreated control households. Residence times of 2,4-D, MCPP, and dicamba were significantly prolonged (P < 0.05) on dry brown grass compared to green grass. Chemicals were detected in the urine of dogs in 14 of 25 households before lawn treatment, in 19 of 25 households after lawn treatment, and in 4 of 8 untreated households. Chemicals were commonly detected in grass residues from treated lawns, and from untreated lawns suggesting chemical drift from nearby treated areas. 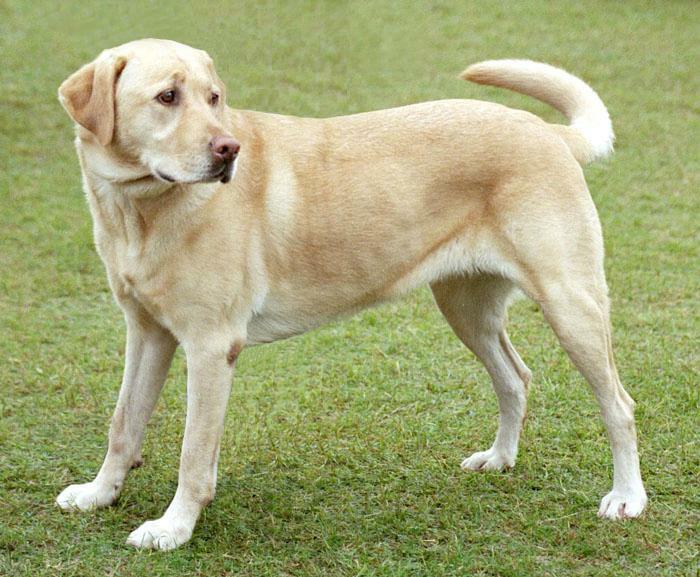 Thus dogs could be exposed to chemicals through contact with their own lawn (treated or contaminated through drift) or through contact with other grassy areas if they travel.